On 31 January 1894, Mary, aged 28, married Emmanuel William Case, aged 29, son of Emanuel Case and Jane Starr, in St Raphael's Church in Carrieton, South Australia . 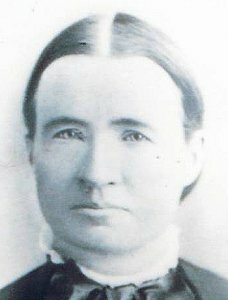 Catherine Mary McEvoy was born about 1844, daughter of Denis McEvoy and Ann Jane Carson. Catherine Mary McEvoy was also called "Kitty." George Thomas Case was born on 20 November 1895 in Coonatto, South Australia , son of Emmanuel William Case and Mary Jane Quinn. On 25 January 1922, George, aged 26, married Monica Florence Perry, aged 21, daughter of John James Perry and Mary Miller, in St Mary's Catholic Church in Wallaroo, South Australia . Alice Catherine Case was born on 4 May 1897 in Pinda, South Australia , daughter of Emmanuel William Case and Mary Jane Quinn. On 27 January 1926, Alice, aged 28, married Michael Felix Murphy, aged 28, son of Denis Murphy and Catherine Barker, in St Andrew's Church in Balaklava, South Australia . 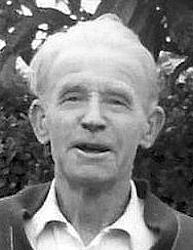 Michael Felix Murphy was born on 7 November 1897 in Tarcowie, South Australia , son of Denis Murphy and Catherine Barker. On 27 January 1926, Michael, aged 28, married Alice Catherine Case, aged 28, daughter of Emmanuel William Case and Mary Jane Quinn, in St Andrew's Church in Balaklava, South Australia . Felix Case was born on 23 October 1898 in Pinda, South Australia , son of Emmanuel William Case and Mary Jane Quinn. Felix was known as Phil to family and friends. Copy of a letter he sent to grand-daughter, Jane Buchanan. 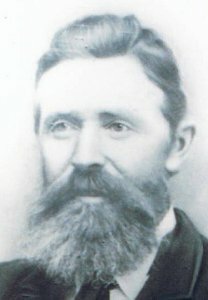 [S175] J. L. (Bob) Hoad, Hotels & Publicans in South Australia. Frances Lucy Case was born in 1899 in Pinda, South Australia , daughter of Emmanuel William Case and Mary Jane Quinn. On 10 August 1922, Frances, married Norman Gilbert Belling, aged 25, son of Theodore Belling and Emma Juliana Steinwedel, in St Andrew's Church in Balaklava, South Australia .